Golden Sun Hotel offers an efficient service with a home from home friendly atmosphere in close proximity to shopping malls, restaurants and nightlife. Golden Sun Hotel has an outdoor swimming pool and a palm lined sun terrace with loungers, umbrellas and bar service. Social and dining venues include a pool-side bar, a lounge bar and a restaurant. The restaurant offers buffet breakfasts and (by arrangement) offers buffets or a fixed menu of traditional Mediterranean cuisine at lunch or dinner. The lounge bar and the pool-side bar both serves drinks and snacks. Amenities and services available to guests include 24 hour reception with multi-lingual staff, WiFi, currency exchange, an ironing room, luggage storage and elevators. There is also room service, an internet corner, laundry services, medical assistance, car hire, baby sitting and car parking spaces (all with local charges). There are 100 hotel rooms, spread over 5 floors, comprising single rooms, double rooms, triple rooms and suites. 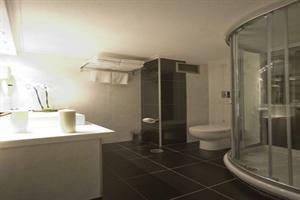 All room types have a private bathroom and a balcony, whilst the suites have an additional sitting area. 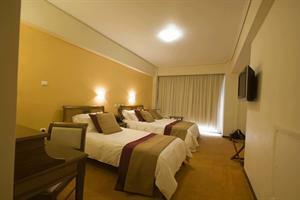 Rooms feature WiFi, flat screen satellite TV, a safe, a hair dryer, a mini bar, heating and and air conditioning. Baby cots are available on request. Golden Sun Hotel has shopping malls, cafes and restaurants, clubs and bars all within 500 metres. The Glyfada Golf Course and Glyfada Marina are just 2km away. Go Karting and an amusement park can be found within 2.5km. The historic centre and attractions such as the Acropolis, Plaka and National Gallery are all approx 14km. Glyfada-Athens is approx 25km from Athens Airport.